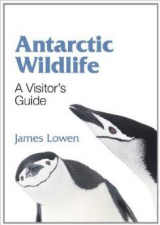 Most trips to Antarctica are cruises or fly-cruise trips that leave from the port of Ushuaia in Argentina or the airport at Punta Arenas in Chile visiting the Antarctic Peninsula and the islands of the (largely undersea) Scotia Arc (fig 2). 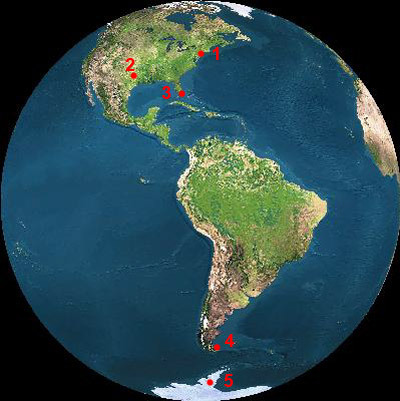 This stretches east from the southernmost tip of Tierra del Fuego (South America), through South Georgia, the South Shetland Islands and back to the west again through the South Orkney Islands before joining the northernmost tip of the Peninsula. A smaller number of trips leave from Australia or New Zealand and visit the eastern region of Antarctica, sailing time is about 6-7 days there and the same back again. These trips are longer and therefore more expensive, they usually leave from Hobart, Australia or Invercargill, New Zealand, sometimes leaving from one and returning to the other on alternate trips. Fig 1. 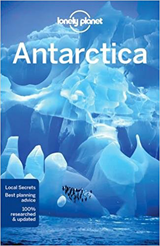 Trips to the Antarctic leaving from the USA most commonly leave from the southern most tip of South America and visit the Antarctic Peninsula and nearby islands. Fig 2. 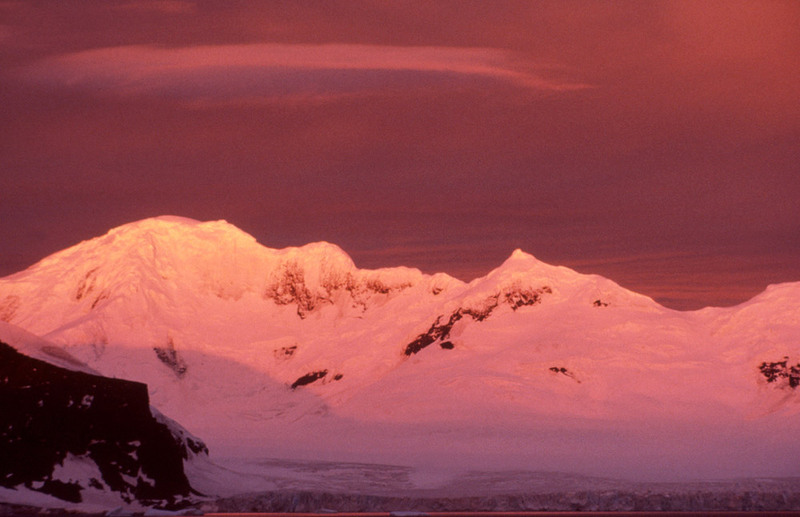 Trips to the Peninsula region of Antarctica. The majority of trips visit the Peninsula 6 and nearby islands such as the South Shetlands 5. 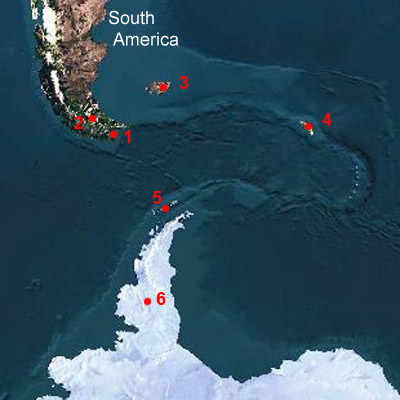 Longer trips may also take in the Falkland Islands 3 and / or South Georgia 4 and possibly some other landings en route. Cruises most commonly go down the western side of the Peninsula as they are less likely to encounter problematic sea ice that is more likely found on the Eastern side in the Weddell Sea. Fig 3. Trips to the more remote Eastern side of Antarctica usually leave from Australia and New Zealand often Invercargill / Port of Bluff in New Zealand 2, Invercargill has the airport, Bluff, 30km away by road has a deep-water port. Less commonly trips may leave/return from Hobart, Australia 1, and Dunedin, New Zealand (about 180 km / 110 miles from Invercargill). The trip may depart and return to the same port or leave from one and return to another in either direction. 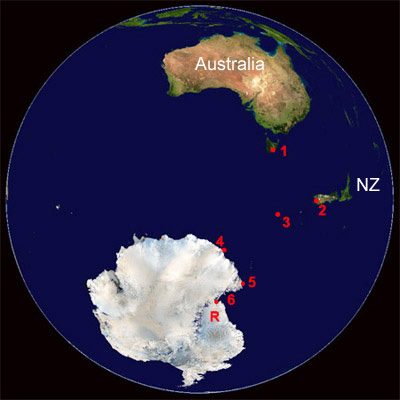 It takes about seven days sailing to reach Antarctica from Australia or New Zealand, the journey there and back is usually broken up with visits to the wildlife rich Macquarie Island 3 and others such as Snares, Auckland and Campbell Islands that lie between Macquarie and New Zealand.